Dimensional letters and channel letters are popular choices when it comes to building signs for all industry and company types. 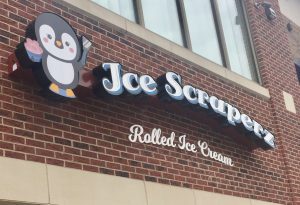 The versatility and flexibility of channel letter signage allow for a way to customize them to meet up any brand guideline or personalized design choices. 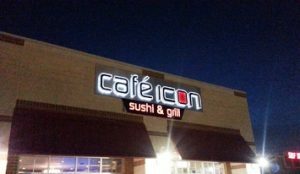 Regardless of whether you are interested in flat-dimensional letters, illuminated signs or a complete customized sign, our team of experts are here to assist in creating just the right signs for your needs. Black Parrot Sign Studio is your local professional provider for business signs, along with efficient quality fabrications and services that match up to your budget. Call Black Parrot Sign Studio today at (714) 406-0939 for a Free Channel Letter Sign Consultation! The storefront signage that is requested the most includes the channel letter signs. These are three-dimensional signs, which are created from forming cut-metal individual elements like symbols, numbers, letters or images which are perfectly secured and aligned against a solid backing frame. These include signs that are flush-mounted directly against a building or an eye-catching raceway sign. 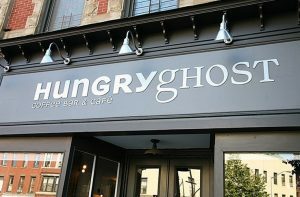 These channels are covered with a durable acrylic top in any type of transparency or color level to achieve a unique and customized appeal. You can choose to spell out a slogan or name as well as include the logo of your business in this signage type. We offer various style, color, font and size options. This allows you to make easily personalize your signs for your business needs. Channel signs can be fabricated into an icon or image, which provides for a way to add any custom fonts or images to your signage. The Channel Letter Signs are very popular for office buildings, manufacturing facilities, retail stores, churches, schools, shopping centers, malls, grocery stores along with a host of other organizations. The Dimensional Letter Signs have similarities to channel-letter signage in the way that it is made up of elements which are individually created. 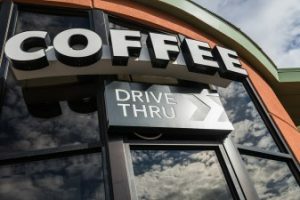 The difference between these signs is that the channel letter features hollow channels inside which allow for illumination, while dimensional letter signage is cut from a solid sheet of either metal, acrylic or other material types. These signs also offer a variety of fonts, styles, and sizes along with a variance in the thickness of the material. This provides you with control over how the dimension sign will look, from just about flat onto several inches in depth. Black Parrot Sign Studio are experts in creating dimensional-letter signs which will promote and match up to your specific brand in a durable and high-quality way. This signage type is more suited for manufacturing, malls, offices, retail stores, restaurants and even work well for lobby signs and indoor signs. The channel letters offer a fantastic way to make your business stand out when you add in LED lighting. This option ensures your sign can be seen with ease in either poor weather or at night, attracting new customers regardless of the weather conditions or the time of day or night. We are here to handle every aspect of the process, which includes securing your signs along with safe installations for any electrical elements along with a clean-up at the end of the job. If you run a business that operates at night, the backlit channel-letter signage can make a significant difference in how you attract new clients and customers. The lighted signage is the best choice for businesses such as gas stations, convenience stores, comedy clubs, coffee shops, bars, restaurants, theaters, and nightclubs, but also works very well for all types of businesses that are looking to stand out from the competition. We have a dedication to offering all our customers with a quick turnaround, products of the highest quality, along with an experienced and hard-working team to assist and guide you from the start to the finish of your project. Let us become your long-term preferred signage partner that can assist you throughout the lifespan of your company.